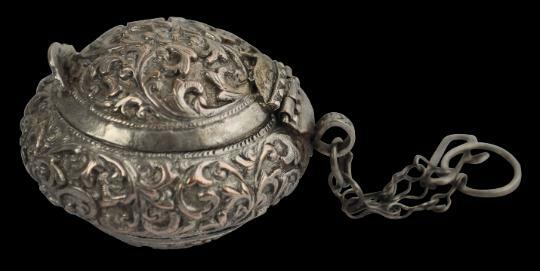 These two betel-related silver boxes includes a small, spherical lidded box designed to be suspended from the belt or from a kerchief. 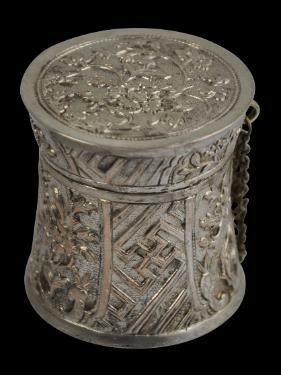 It is typically Malay and has been repoussed all over with vegetal motifs. 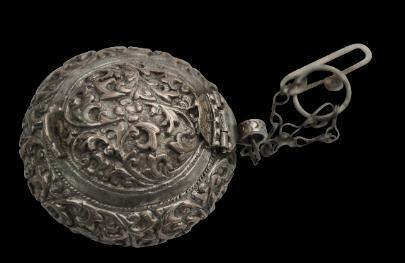 It was designed to hold either betel nut or chewing tobacco. Peranakan (localised) Chinese client. 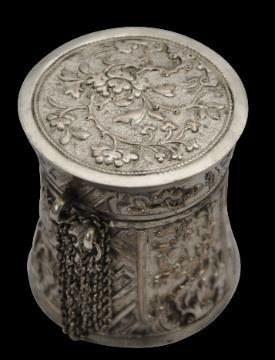 It served as the container for powdered lime, an essential part of the betel quid. The box still holds remnants of lime.